the last couple of weeks has been all about college work and yet i still managed to leave it all to the night before it needed handed in, you can't say I'm a procrastinator. now do you fancy a giggle? here is a story about balance and co-ordination - my mum decided that she wanted a mp3 player but i convinced her to get an iPod. so yesterday i went to argos to get an iPod, it was all going great, i picked the one i wanted, payed for it and collected it, all simple enough until i was leaving the shop. you know how they have that box of catalogues in the middle of the floor? well i wasn't paying attention to my walking and managed to very gracefully fall straight into the box of catalogues! ooh it was soo embarrassing, needless to say i quickly got up and walked fast out of the shop and that is the let time i shall ever go there again! time for sewing stuff now if you can stop giggling! 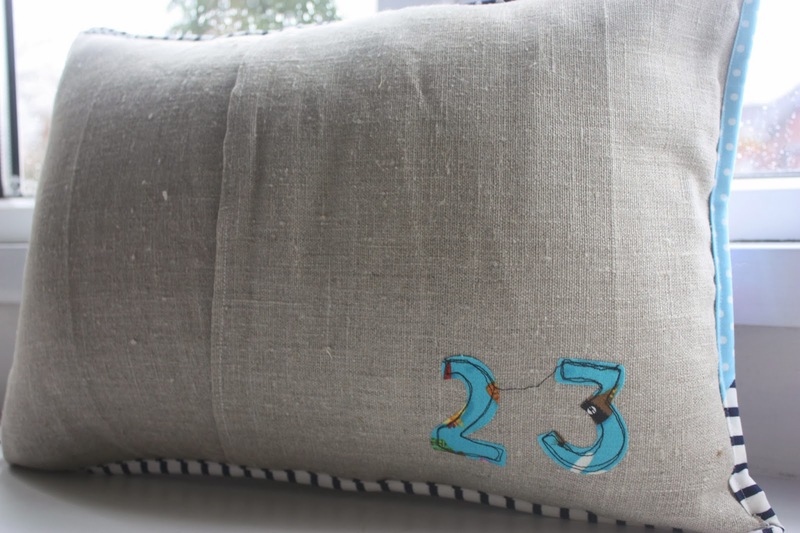 it seems i have a thing for making cushions at the minute, but when inspiration strikes, go with it. i really like her hair, even though i kind of just want to flick it out of her eyes. and her strawberry nose, can you tell i really like my new cushion? when i finished the appliqué it felt like the cushion was missing something, and i couldn't figure out what. then one day i was tidying i found my most favourite pink flowery fabric and i just knew it had to be the binding. 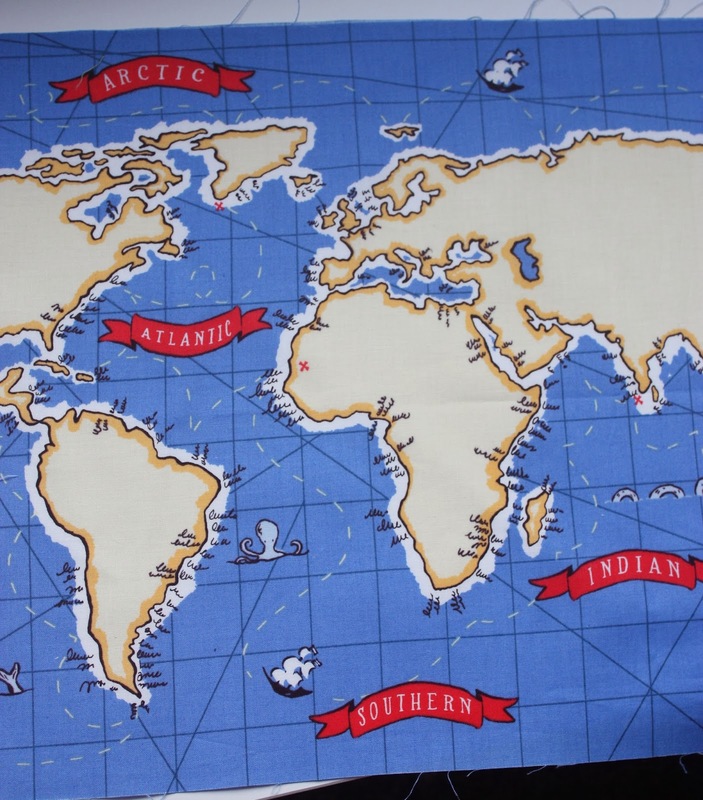 i have a love/hate relationship with binding, i love how it looks, but hate sewing it on, anybody else feel the same about binding? it's monday! my favourite day of the week. yesterday it was my brothers birthday and we all know what that means, yes! a handmade present, yay! do you remember this panel from ages ago? 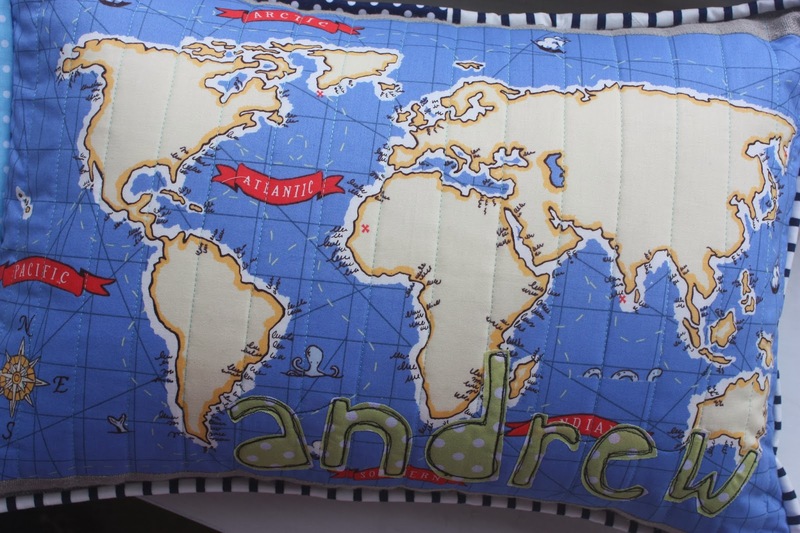 i said i was going to make a cushion for him moving to england, well his birthday came first so i made it for his birthday. 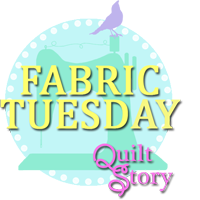 some straight line quilting, a little bit of appliqué, some binding and ta-dah! 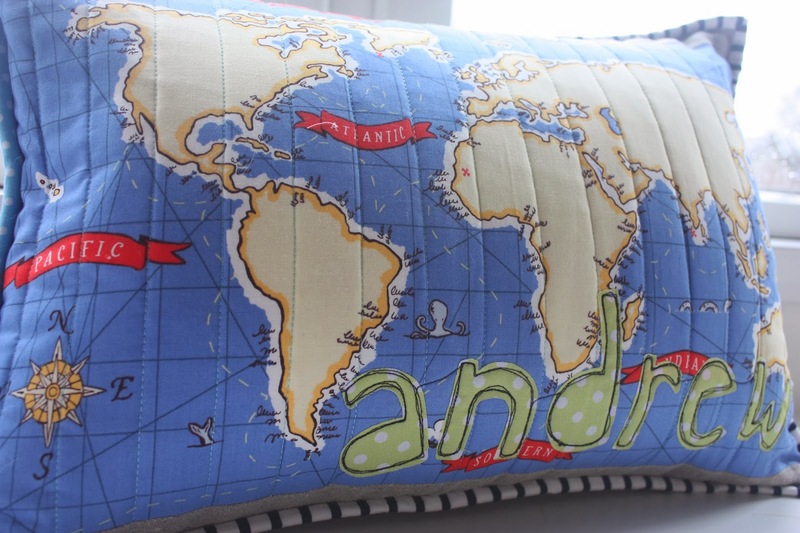 a cushion is made, i really like this map print from out to sea by sarah jane. have you guessed his name yet? i am also happy to say that he loved it! and took a nap on it straight away, i would say that it was a success, yay! cause you just never know with handmade gifts. yes he turned 23! 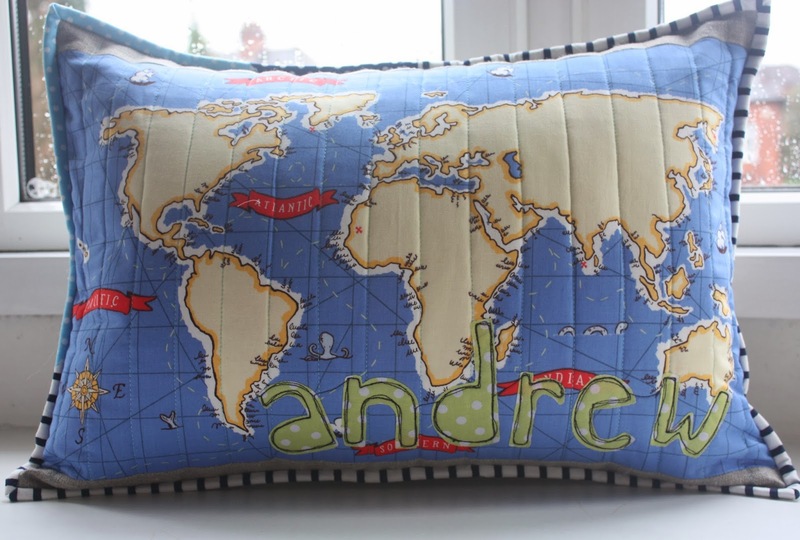 and every 23 year old needs a map cushion (he studied geography, so at least its relevant haha) with their name appliquéd onto it. two birds, one stone i got to make a handmade birthday present and put a tick on my FAL quarter 1 list, win, win! just a quick photo i snapped before it was all eaten, it was yummy! !